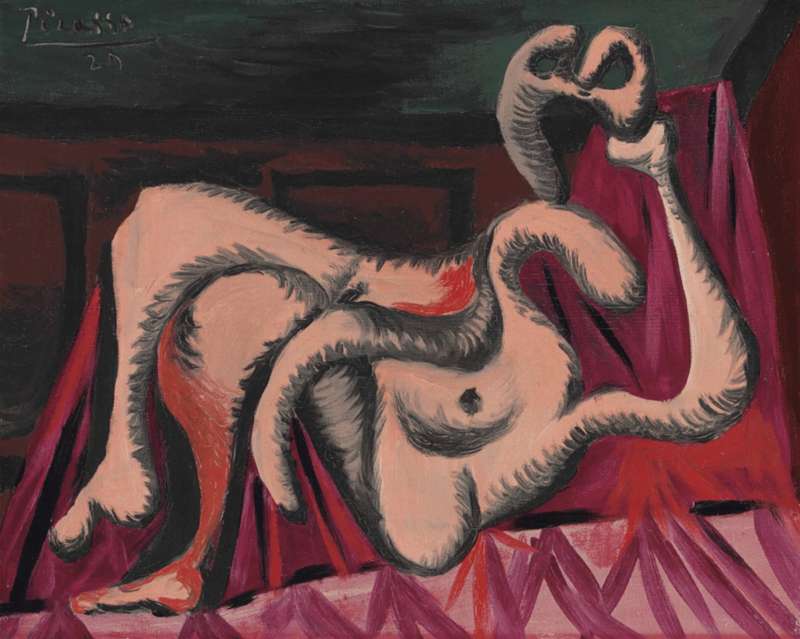 The biggest steal this season, in my humble, came and went at Christie’s NY earlier this month in the form of a Picasso “Surrealist” oil on canvas, the 1929 Figure. At 33 x 41 cm (13 x 16 1/8 in. ), it is not a large painting but neither is it a particularly small one. These days Picasso Surrealism is not exactly the most sought after of his many periods, and quite a number of canvases from this period have sold at what I consider well below their relative worth, but none comes close to this bargain. 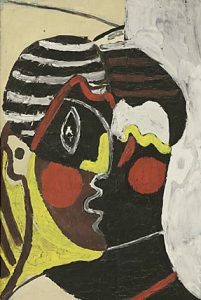 Its impressive provenance, including prior ownership by the storied Picasso dealer a generation or so ago, the Perls Galleries of New York, didn’t seem to help. This painting, at around half the size of Figure, sold in one of the special Krugier estate sales, for, as I recall, $1.4M, yet to my eye, it doesn’t begin to compare to the painting at hand. The canvas we previously owned does compare—see a broader discussion of both of these 1926 comps and Picasso Surrealism in general here. 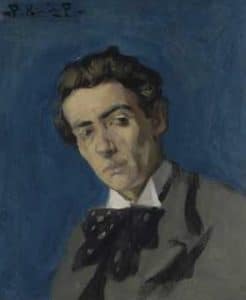 This canvas originated in Barcelona, before Picasso “became Picasso”, a period even less in favor in the market than Picasso Surrealism, in fact, historically the weakest of all of his periods. Its dimensions are only slightly larger, yet it brought in $3,007,500, around double the high estimate. Some lucky collector (or dealer?) got a great Surrealist Picasso at a fire-sale price….